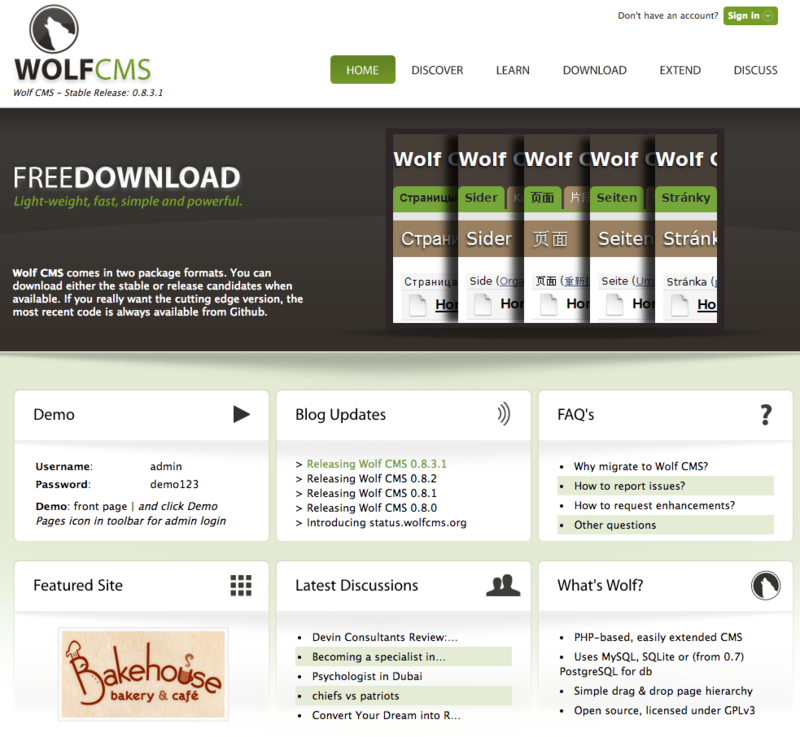 Want to quickly see how the open-source software Wolf CMS works? You'll find a free and updated demo installation of Wolf CMS here. Wolf CMS is a free content management system developed in PHP. It started as a fork of Frog CMS, but evolved into an award winning CMS that has a lot to offer. If you want to test its features you can create your own Wolf CMS demo by clicking on the link below to download it. Wolf CMS requires PHP5, a MySQL database or SQLite 3 with PDO, and a web server (Apache with mod_rewrite is highly recommended). Some of the features you will find in your demo site are statistics, comments system and page content filtering system. Your Wolf CMS installation will also come with a blog style article setup and the ability to extend the current functionality of your demo site through plugins. The latest version available for download is 0.8.3.1 and was released on August 11, 2015.
is wolf cms still current? last release 2016.